One of my favourite contemporary artist is Gathie Falk, her art pieces always make me happy. I particularly like a painting she did of apples on a canvas, the apples are on a black background and they look like they’re suspended in outer space. The apples are sliced and whole. This painting allows me see this banal fruit with new eyes, as does many works of art that feature food! With the stunning array of fresh fruits and vegetables in season, Kale thought it would be interesting to create a post – like an art exhibit – sharing the beauty of superfoods through artful photography. I immediately jumped on board inspired by Gathie Falk. Depicting foods as an art form dates back to ancient Greece and Rome and has carried on through the ages, I wonder what those painters and sculptures would think about us posting food pictures on Instagram and Pinterest? Would they consider it the way we consider fast food? After hunting around Granville Island market, Kale picked a selection of fruit and veggie combos for our creative venture. We decided that the art of superfoods is about cheerful colours and beautiful patterns/textures. Instead of brushes and canvases, we used knives and cutting boards. We meticulously sliced and styled our subjects to make the masterpieces below! In the process, we got a bonus sensory experience with the cheerful fragrance from the citrus fruits. 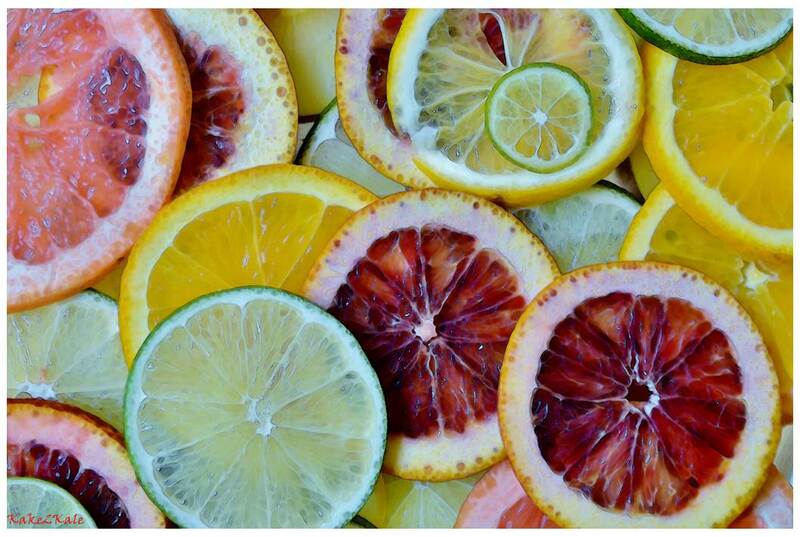 The Mayo Clinic has found from experience that citrus scents lowered stress and anxiety in patients. No wonder the heady scent from all the cut oranges, limes and grapefruits made us feel refreshed. We were getting a good dose of aromatherapy! Welcome to our art exhibit “Kake2Kale: The Art of Superfoods” with six original pieces. The art value? Priceless! Subject: Dragon fruit and radishes on a red charger. 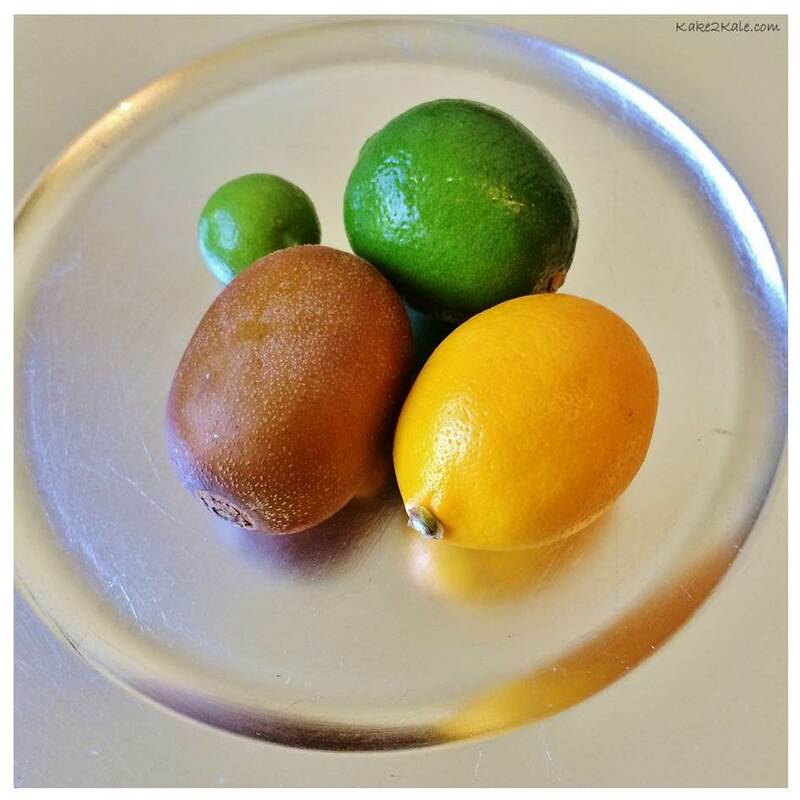 Subject: Lime, key lime, meyer lemon and golden kiwi. 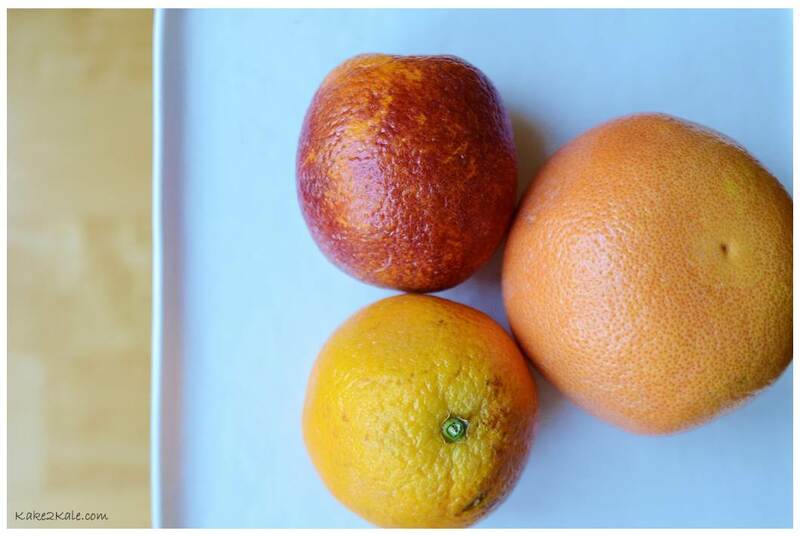 Subject: Mixed citrus fruits on citrus fruits. 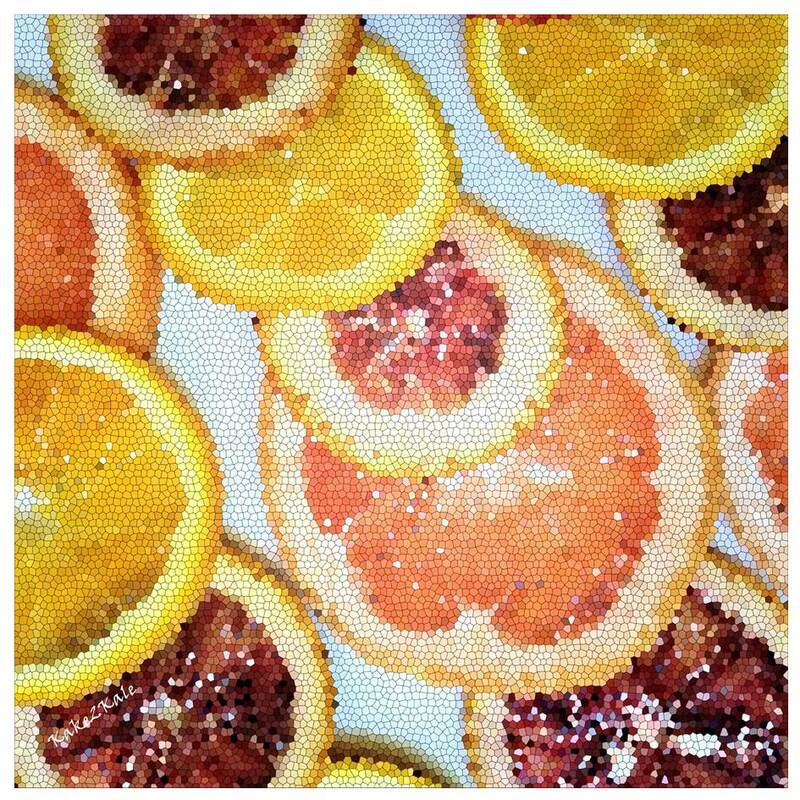 Subject: Grapefruit, orange and blood orange on a white plate. 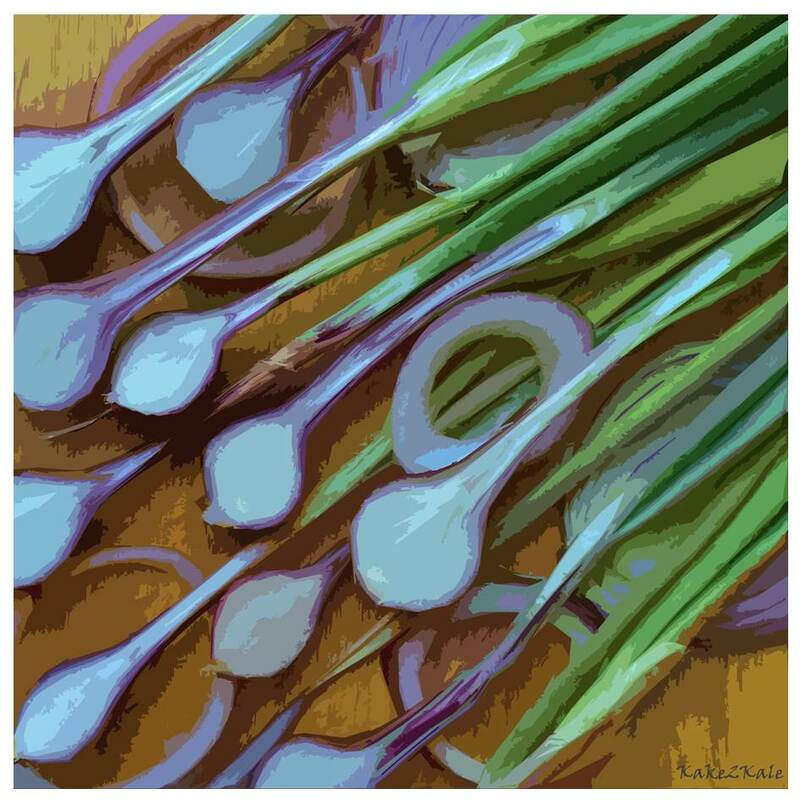 Subject: Large and small purple onions with green shoots still attached, on cutting board. 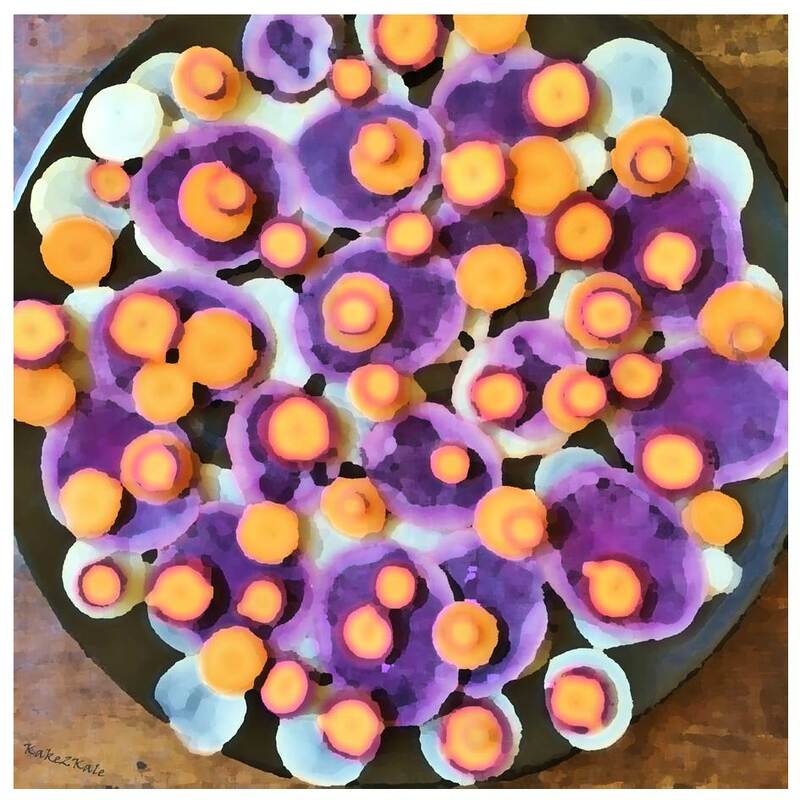 Subject: Heirloom carrots and multi-coloured potatoes on black plate. All the above works of art are photographs with various art filters. For your interest, the original photography is at the end of the post. The following are our supermodels of the superfood world! Dragon Fruit– High in vitamin C and fiber. The black seeds also contain good mono-saturated fat and protein. Can help to regulate diabetes because of its fiber content and also can decrease bad cholesterol while raising good cholesterol. 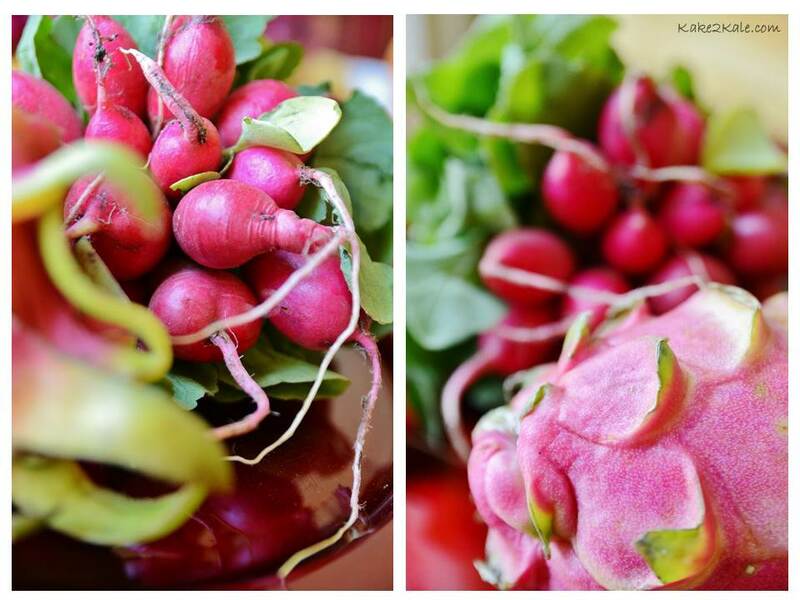 Radishes – Powerful detoxifier. Purifies blood and can help treat jaundice. Kiwi – Can help relieve respiratory-related illnesses. 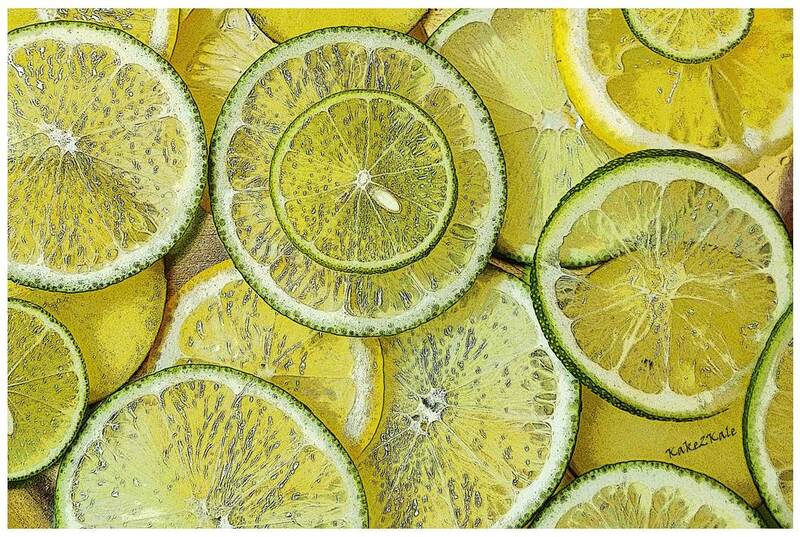 Citrus Fruits – Helps with collagen production, which is what gives our body its structure, ie. skin, bones, muscles and tendons. 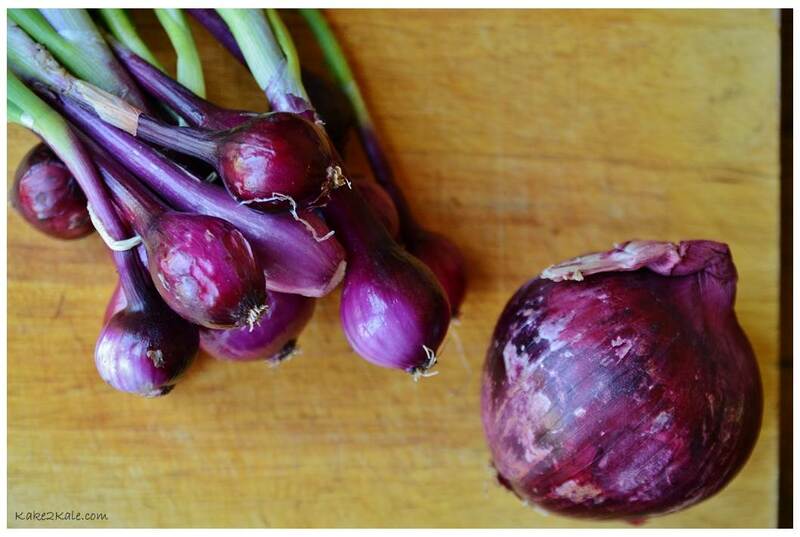 Onions – May help lower high blood pressure. The green tops are high in vitamin C.
Carrots – Contains beta-carotene, important for for eye health. 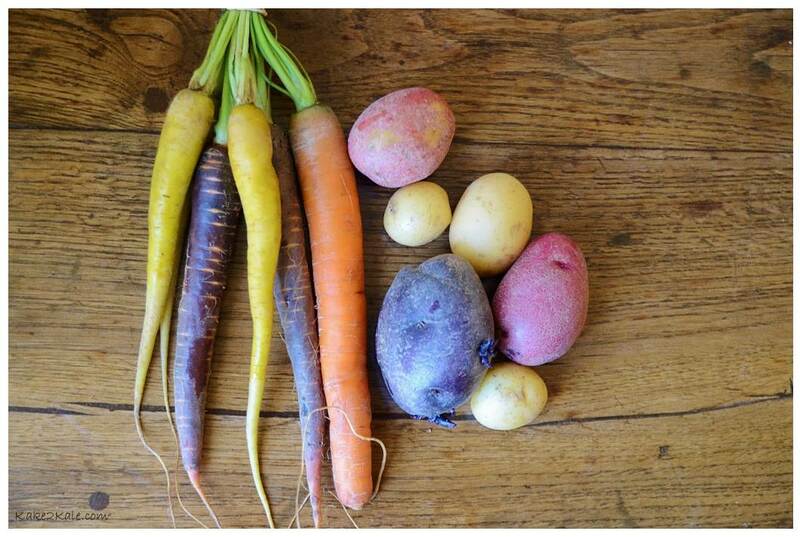 Potatoes – The multi-hued potatoes provide phytochemicals (found in the different colours of their skin) which may act as antioxidants and neutralize free-radicals that age our bodies. 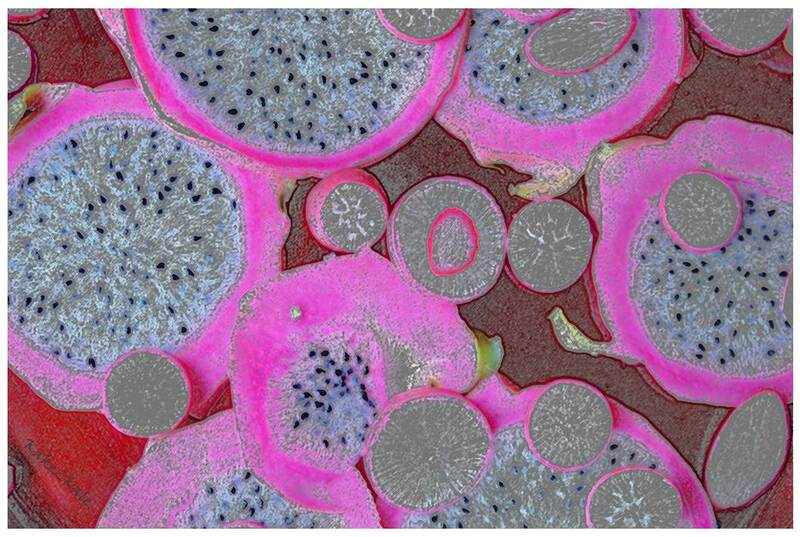 We hope you’ve enjoyed our artful look at the beauty of superfoods. We’d love to hear from you…which pieces did you like?